Aminu Tambuwal, governor of Sokoto state, has accused President Muhammadu Buhari of being desperate to perpetuate himself in power. Tambuwal, who is a presidential aspirant of the Peoples Democratic Party (PDP), said this while meeting with delegates of the PDP in Ado-Ekiti, Ekiti state capital, on Friday. 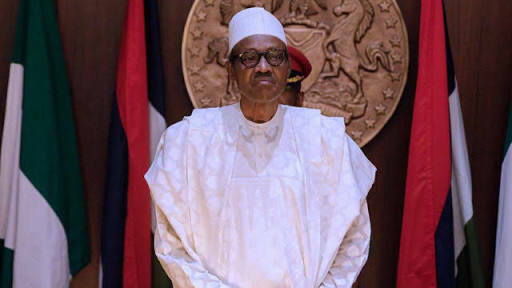 The aspirant, who defected from the All Progressives Congress to the PDP in August, said he decided to contest the 2019 presidential election after realising the “lopsidedness in the Buhari administration in terms of poor performance and failure of governance”. He said his leadership would be devoid of “elements of sectionalism experienced under the current administration”. He added that he is in position to respect individual rights and urged the people of the state to vote for someone who believes in the unification of the country. “The focus of every Nigerian in 2019 is to vote for a president that is Pan-Nigerian; a man who is not an ethnic jingoist or religious bigot,” he said. “We are all aware that the present government is desperate to perpetuate itself in power. They are ready to do those things outside the laws of the land to remain in power. That is why they have been harassing leaders like Governor Ayodele Fayose. “You must try and give the PDP flag to someone who believes in the unification of this country, someone who has traversed the length and breadth of this nation, someone who has moved from Maiduguri to Lagos, from Port Harcourt to Sokoto and from the east to the extreme north as a private person.